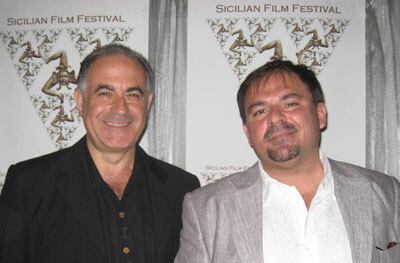 For seven days in April, the mercury will rise as South Beach meets Sicily at the 6th Annual Sicilian Film Festival (SFF) – April 7 to 13, 2011. The screenings will be held at the recently inaugurated Miami BeachCinematheque located at the Historic City Hall, 1130 Washington Avenue, Miami Beach, 33139. It will be a feast for all senses and party for all, showcasing the best of Sicily and Italy: cinema, literature, art, fashion, food and wine, culture, history, and people. Spearheaded by founder and president, Emanuele Viscuso, the SFF has grown from a small festival, developed in only a few weeks' time, to the grand event it is today - an internationally recognized film festival organized and supported by contributors located around the globe. The idea emerged after Viscuso received a request, from the Regione Siciliana (the Sicilian Film Commission) and by the Cultural Association, Ragusani nel Mondo, to showcase in Miami the works of Sicilian film directors. Describing his vision for the first festival held in 2006, he stated: "I imagined a kind of festival able to combine films and culture, entertainment and friendship, information and communication.From that moment real miracles started happening. Incredible supporters appeared magically. Instinctive love and tremendous appreciation for this idea were revealed by friends and sponsors. Extremely important people and institutions offered their help. Many professionals were happy to participate with their work and sustain. All this happened in a few days. I can say, I eye witnessed a miracle." Viscuso brings to the SFF a legacy of artistic contributions. Born in Palermo, Sicily, he is an artist and a cultural events organizer and promoter. His most famous piece is the 45 foot large sculpture Wave-Bridge On The Imaginary located at the Milan Malpensa international airport. His activity and international recognition goes from the field of music, design, art, photography, poetry, to architecture, urban planning and social causes. He represents private and public cultural institutions. He is also the founder of the International Festival of Organ Music in the Churches of the Historic Princedom of Castelbuono, Sicily. Viscuso has taken part in the Esperia STS-120/10A Mission, launched on October 23, 2007 from the NASA's Kennedy Space Centre in Florida as delegate in Florida of Accademia Italiana della Cucina, a Cultural Institution of the Italian Republic. Thanks to his proposal and support on board the Space Shuttle Discovery, Node 2 - the interconnecting unit developed in Italy by Thales Alenia Space - and the ESA, the Italian Paolo Nespoli and other astronauts started their journey towards the International Space Station (ISS) bringing with them Italian and Sicilian food to offer to the other astronauts on the Station in orbit. 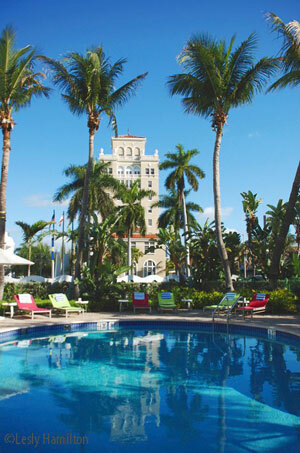 The City of Miami Beach, where he has resided since November 2000, presented him with the Key to the City on October 17, 2007 as recognition for his cultural commitment to the community. Salvo Bitonti is now entering his fourth year as Artistic Director for the SFF. Born in Siracusa, Sicily, he is a director, screenwriter and professor of theatre and film direction at the Albertina Academy of Fine Arts in Turin and at Foggia University. He graduated in Greek drama from Bologna University. He has directed over forty plays in the most important theatres of Italy (Piccolo Teatro di Milano, Teatro Quirino, Rome), as well as in national (Todi Festival; Magna Grecia Festival, Taranto; Baroque Arts Festival, Genova) and international festivals in Tunisia, France. Spain and Egypt. An experimental director, he has researched the relationship between cinema and theatre, creating performances characterized by the use of multimedia on stage. He has also experimented with a contemporary interpretation of classical drama, especially Greek tragedy and lyrical theatre. He collaborates with the National Institute of Greek Drama, in Siracusa. 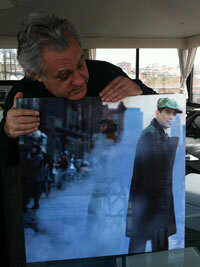 His most notable awards include: Fiuggi Platea Award, as best director; City of Siracusa Theatre Award for his career. He is the author of Dioniso & Pirandello (Rome 1999) and has written articles on theatre and cinema for important Italian magazines such as Primafila and Parol. His short Phaedra, was screened in many international festivals and at the 2007 Sicilian Film Festival, it won the award as best short film. His last short is Helen, featuring Franco Nero and Mita Mediciwas presented in 2009 at the Kodak Theatre, Hollywood, CA during the Los Angeles – Italia Film Festival. L’imbroglio nel lenzuolo (The Trick in the Sheets): by Alfonso Arau, with Maria Grazia Cucinotta and Geraldine Chaplin, et al. Brief Synopsis: 1905 - Cinematography has reached Southern Italy and casts fear among the peasants who believe it is a devilish trick. They call it “l’imbroglio nel lenzuolo” (the trick in the sheet, as sheets were used as makeshift projection screens.) Marianna, an illiterate sorceress, finds out that she will be featured in a 6-minute long movie called “La casta Susanna” (“Chaste Susanna”) who will either enchant or enrage the audience with a spectacle of her bathing naked in a lake. Unsure of exactly what a cinematographer does, she cannot understand how her own image can be on the screen and believes that this “double” is someone like her trying to ruin her reputation among the villagers. “L’imbroglio nel lenzuolo” is a sensual comedy that will please all audiences. Brief Synopsis: Angela, isn’t like the other girls of her same age. She runs, smokes and fears nothing and nobody. All her feelings are for the young Sara. A forbidden relationship in a 19th century Sicily. Only a deceit – changing her outward appearance, disguising herself as a man – might be a solution. Brief Synopsis: Based on Taviani’s memories, the film documents life of fishermen and quarry workers living and working in the region surrounding the Aeolian islands during Fascist Italy. Brief Synopsis: From the acclaimed director of Cinema Paradiso, comes an epic saga of life and death, love and hatred in a vibrant Sicilian town in the first half of the twentieth century. This film was nominated for Golden Globe in 2010. L'Uomo di vetro (Man of Glass): by Stefano Incerti, with Davide Coco and Tony Sperandeo. Presented at Festival des Films du Monde de Montreal 2007 (American Premiere)Brief Synopsis: L'Uomo di vetro is based on Salvatore Parlagreco’s book with the same name and inspired by Leonardo Vitale, the first Mafia pentito (turncoat) to break the wall of silence that was preventing the Sicilian magistracy from penetrating the Mafia. Vitale paid for this choice with imprisonment; years in a forensic psychiatric hospital; and finally with his life - the Mafia did not hesitate to kill him as soon as he was released. However, as the director, Stefano Incerti, explains that this film is also about freedom of conscience and about having the strength to go against everyone to assert your freedom even if it means going against your roots, your friends and family. It is about the struggle of an antihero, who is partly the victim, and partly guilty. Film, literature, conversation, and food will converge. “Sicilian Cinema's Taste From Leopard to Baarìa” - An evening with recipes ‘stolen’ from the screen – a lecture by Laura Delli Colli, famous Italian cinema journalist and author of "The Cinema's Taste" followed by a dinner featuring Sicilian dishes inspired by scenes from Lucino Visconti’s Leopard; Giuseppe Tornatore’s Baaria; and Donatella Maiorca’s Viola di Mare. Through a cooperative effort by the Roberto Granata Foundation and the Sicilian Film Festival, a photographic exhibit titled: “Roberto Granata: Sicilian Photographer in Hollywood” will bring a touch ofHollywood glamour to South Florida. The display is a collection of Granata’s portraits of favorite celebritiessuch as: Anne Hathaway, Andie MacDowell, Robert De Niro, Diane Keaton, and Isabella Rossellini. Granata’s Foundation helps to support orphaned children in areas of the world that have been struck by earthquakes. The evening will bring a ‘red carpet affair’ presenting directors and actors from each of the films including: Giovanna Taviani, Pasquale Squitieri, Franco Nero, Claudia Cardinale, Valeria Solarino, Isabella Ragonese, Donatella Maiorca, and Giuseppe Tornatore. With the generous support of many and through a variety of presentations and events, the 6th Sicilian Film Festival will offer everyone an affordable, but stylish cultural experience served South Beach style!